St Kitts South Australia. Gold Coast West Africa 1908-1912. Point Pass, South Australia. From an A+ Year 12 School Project by Janine Zwar on the Zwar Families in Australia. 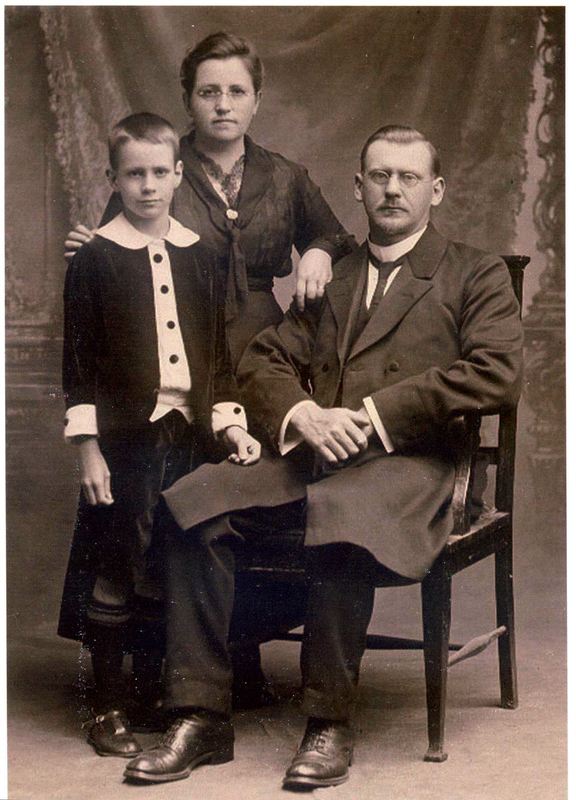 “Johannes Zwar was born on the 5th June 1881 and attended school until the age of 14. Soon after he left he found a job in the Seppeltsfield Winery. It was there he met a Reverend Kaestner to whom he spoke of his desire to study for the ministry. After several years of private tutoring, Johannes was able to travel to Switzerland where he attended a Lutheran Theological Seminary. Six years later he was ordained into the ministry. During subsequent years Johannes travelled to South Germany and Scotland before accepting a missionary post on the Gold Coast of Africa. It was here he met and married Martha Bellon. While on leave in Germany the couple’s first child, Max Immanuel Theodore Zwar was born on the 14th May, 1912. (My Grandfather). The young family never returned to Africa – instead they moved to Point Pass in South Australia where a Lutheran Church was based. Pastor Johannes Zwar was a good man, a popular minister and very conscientious in his work. I have often intended to write to you, but until now it has rem,ained at that. Yesterday in a letter from home I learnt that you, dear Bertha are confined to your bed with rheumatic fever. I feel sorry for you, and it is my wish that the True Physician will soon restore you to health. We are experiencing the most beautiful weather. To me it feels as though the Australian Sun is shining. I was pleased to hear that you led the Pentecost service as an elder. God grant you his blessing in this calling. How is the little fellow? I guess he has grown and in three years will be twice the size, when we hope to visit you. I feel refreshed after spending six weeks holiday with a building contractor’s family. Regards to Uncle and Auntie and all relatives. Congratulations to Johannes on his wedding, and wish him God’s blessing. Regards to my dear W. Mickan and ask him to thank the little daughter Amanda for her letter. Also convey greetings to father Mickan. 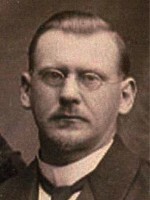 The successor of Pastor Michel was Missionary Johannes Zwar. At the said meeting on the 15th of September 1912, the parish decided to send a call to Missionary Zwar. He, by birth an Australian (born at Tanunda), received his theological training in the seminary at Basle in Switzerland during the years from 1903 to 1908. When he had completed his studies he accepted a call as missionary to the Gold Coast in West Africa, The task allotted to him there was that of principal of the secondary school at Christiansborg near Accra. After a, sojourn of four and a half years in Africa, ill-health compelled him to return to Germany. During this sojourn in Germany, whilst residing in the city of Stuttgart, the call from the Parish of Point Pass reached him. He handed the call to the foreign mission committee at Basle and asked for advice: he was prepared to abide by their decision. Since, according to medical advice, he was unable to return to the tropics, he was advised by the committee to accept the call. 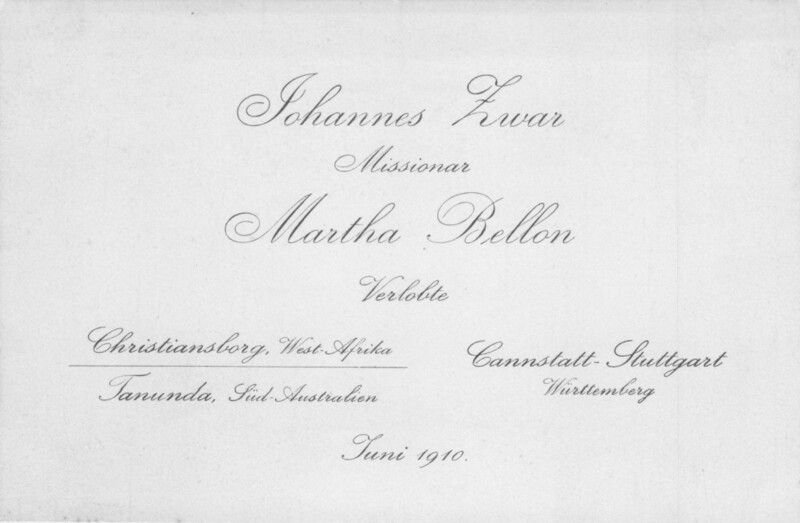 Regarding it as the will of God he was prepared to return to Australia and to enter the Australian Lutheran Church. In the beginning.of the year 1913, he with his family, returned to his native land, and on; April 28th, landed at Port Adelaide. On Saturday, the 24th of May, his colloquium took (place and on the following day, the 25th of May, being the first Sunday after Trinity, he was installed at Point Pass by the president, Pastor Braun, assisted by the.Pastors Bemmann and K. Gutekunst. Pastor Zwar then preached his inaugural address, basing it on 2 Kor. 5, 16-21. In the afternoon the Pastors Bemman and Gutekunst spoke on foreign mission work. At the annual meeting of the.congregation, held on February 15th 1914, it was decided to elect ah executive committee. The rules governing the committee were adopted at the meeting held on the 30th of August 1914. The seven brethren elected to this committee were the Brethren G. Scholz, F. Gaerth, S. Mijkan, G. Gehling, C. G. Jansen, P. Hilbig and 0. Pfitzner. The life of thic committee was to be of short duration, for in the year 1915 it was dissolved in accordance with a resolution adopted at a congregational meeting. In the year 1919 the congregation decided to give the church a thorough renovation. A committee to deal with that matter was elected, consisting of the following: Pastor Zwar and the Brethren John Leditschke, Julius Leditschke, Andreas “Mickan, August Mickel, Heinrich Jochinke and C. F. Leditschke. The work was attended to by the Brethren Schroeder and Goedecke. The renovated church was re-dedicated on September 14th, 1919, the speakers for the occasion were the Pastors Braun (president), and Bemmann, and the-Pastors Basedow and Sprengel spoke at the mission festival in the afternoon. In the year 1921, at the Synod held on March 8th at Ebenezer, the split, which occurred in the year 1884, was healed by the amalgamation of the Immanuel Synod and the Immanuel Synod a.a.G. This amalgamation was to prove a blessing for our congregation. For a number of years the two congregations have now held combined preaching services either in this or the neighboring church. Since the end of the year 1920 there has been a comlbined Sunday School here in Point Pass. Since the end of May of the present year (1935) a Young People’s Society has been meeting regularly, which is attended by the young people of both congregations. For this festival a combined choir, consisting of members from both Robertstown and Point Pass congregations, has been formed. During the time of vacancies in either congregation, the pastors of both congregations have assisted. In the year 1926 English services were commenced. The present rule is that one English service is conducted in the month either in the afternoon or in the evening. On the 4th of November 1934, the first English confirmation service was held, when seven candidates renewed their baptismal vow. is much, very much, for which we as his pupils have to thank him. Christian who lived and moved and worked in full consciousness of God. our task of observing and remaining in what we have learned from him. life, one after the other,and we stand here alone. Still, let us fix our hearts upwards. We believe in the communion of the Saints. “We have a cloud of witnesses around us”. This certainly strengthens the consciousness of the binding ties with those who have gone before us. And we, who have also our citizenship in Heaven, have to let our little light shine here on earth, until we stand in the eternal glory of God’s presence. May the Lord grant this to us in mercy! That we will be drawn into this ‘run down’ unionism should not trouble us much. Certainly we will remain aware of our church’s point of view, but that does not forbid us from cultivating spiritual fellowship with true children of God of other denominations. The gem of true Lutheranism is the evangelical freedom of the conscience bound only by the Word of God. That I have been tackled over this here in the south, you will have heard and seen in the last minutes. On the occasion of your brother’s address, at which I was a guest, I was inwardly convicted to stand up for our views, and ‘cross swords’ with Brother W. Riedel. The proceedings with lectures and exchange of ideas in the Pastors Conference came to a decision at our last meeting in Adelaide, when the wording in our last minutes was altered and I consequently resigned. There was not much courage in the brotherhood. A commission was supposed to confer with me again. They said I being broad-minded and temperate towards those of other faiths, especially with regard to admission to the Lutheran Lord’s Supper. But the result of the commission’s deliberations was that they had to acknowledge me as a Lutheran in theory and in practice and had to concede that in such cases that arise from time to time the conscience of the individual has to decide. Pastor Riedel of course wanted to know what sort of a conscience that is, whether it is one bound to the denomination or not. Quite frankly I gave him my answer, that it is a ‘conscience bound to the Word of God’. Unanimously the findings of the commission were carried and adopted and the denominationally-true Brother Riedel had to be silent. I was in the process of by-passing the whole business and going my own way. Indeed as they expressed it, they can do nothing other than recognize and respect our evangelical freedom. I can readily believe it that you do not feel at home in your present church work. In the Mission-work there was more freedom of the spirit and the faith. And indeed, we do not want to forget that we also have a mission here to fulfill in the service of the Church, namely to win souls for our Saviour in service through His Word. This we want to closely pursue and actively practice, first of all in ourselves, then to others. In this awareness and sense of duty we want to stick closely together as children of our spiritual mother. As such, we have a task to fulfill where the Lord has placed us. Oh yes, certainly, our being here is troublesome, also in regards to our financial position. Our payment, which we receive as servants of the Lord, often does not stretch enough and one has to constantly deal with these concerns. I am like you. It is already close on 14 years that I have been in Point Pass and still I have not come through with how one covers the means of livelihood. Is there something still to be learned in this? How good that one has a God who knows all about how things are. Cast all our cares on Him; He cares for us! You must perceive it, in this respect, quite differently with your dear family. How many young ones do you have? If I am not mistaken, there are quite a few. I recall having once seen a picture of your family. I am sure you have a great treasure there in your dear children, in fact, a gift from God. May the Lord keep them all healthy in body and soul. I can hardly remember what the matter was which was mentioned on your account in your brother’s address. But if I am not mistaken, it was in connection with our Basler broad-mindedness. I am afraid we will just have to patiently carry that charge. And when someone is denounced therefore, I am the one who has firmly owned up to it. But never mind, we have to bear that for our Lord’s sake and our load is not heavy, for He knows us. Courageously forwards, dear Reinhold! Do not forget, what we have so enthusiastically sung: “And if your heart is weighed down with gloomy pain and peace escapes you; when discontentment and faint-heartedness break your joy: 0 calm the wailing! In Jesus you have Light”. What a blessing will sprout forth when we follow the Lord to serve Him, whether it be in the Mission or on the Mission-field of His Church here. When His springs flow into us, the dry land soon becomes green. Forwards and upwards looking and joyfully put our hand to the plough. We need to say it to each other, for also my soul needs exhortation; it is often tired and dull. But each one is strengthened by the other and so we want to boldly go on until we reach the goal. No, you do not need to ask for pardon because you were complaining. I do that, too often, and it does me good that you have written to me so openly about it. As you wrote, the Wilhelmsdorfer Pastor Kuebler is quite sick, He was a fine manfwho was dear to me, too. I won’t forget how he got me to give my first sermon there in the Chapel. I felt like a sheep being led to the slaughter. They are past times, but pleasant, neverthe-less. Of my dear brother-in-law Bellen, we have now again some better news. He had become seriously ill and for weeks his life hung in a balance. They doubted that he would make it. But, praise God, he is now better.The reports in the’Mission Papers’ (Heidenboten) about the new beginnings in Africa are heart-warming. How hard was the fall of dear-Vielhauer! May G-od be his consolation. But now , I will close, dear brother. Please receive, together with your dear wife and family, warm greetings from us all. In the year 1932 Pastor Zwar’s ministry came to an end by his death. The illness which caused his death, dated back to the year 1928. In the year 1930 the parish requested him to take a two months holiday and aided him with a monetary gift. His condition however, was gradually getting worse, so that he, in accordance with medical advice, underwent a serious operation on December 10th 1932. Although the operation was successful he did not recover and after lingering for a few days he passed away on the 17th of December in the Rua Rua Hospital in North Adelaide. He held his last service here in Point Piss on the second Sunday in Advent (to-day three years ago), preaching on the 10 talents and closing his address with the words: “Handelt, bis dasz. ich wiederkomme.” After almost twenty years of service in this parish, this faithful servant of the Lord was called home. His illness certainly was serious and the operation still more serious, but not one of his people, friends or members of his congregation expected his end, but it seems, he himself had a notion of his approaching death, for a slip of paper contained the following words, written in December 1932, therefore shortly before his death: “If my work should terminate and God calls me away.” On December 18th, in the presence of a great nunifber of people he was laid to rest in the St. Petri cemetery here in Point Pass. In the church Pastor Siegle preached the funeral sermon, basing it on 1 Kor. 15, 57. This year (1935) the parish erected a monument to his memory. The prevalence of cases of illness among our Pastors during the last twelve months is a solemn voice of God speaking to our congregations and their shepherds. But the unexpected and sudden home-call of one of our ministers, who according to human estimation could yet have done many a year’s work, really stunned us. — We rejoiced with him that the intended operation was to relieve him of many discomforts and troubles. And when after the severe shock that the operation gave him, the doctors confidently reckoned with a speedy recovery we again rejoiced with the relatives, fully believing that now he would be able to return to work with more active strength than in past years. But — the Lord had His own way. Now that He has taken him home we humbly bow and submit to His will, knowing that all things work together for good to them that love Him. God grant that we may be found servants, who, while their day lasts, faithfully, and in the strength of the ever present Lord work and wait for his appearing. The burial took place in the congregation’s cemetery in Point Pass on December 19th, and was attended by a large number of’ people. In spite of the great amount’ of work during the Xmas season the ministers would not be kept from following the earthly remains of their brother to their last resting place. This was also the case on the side of the congregations, who were in the thick of harvesting. than about half of the people. A resume of the Pastor’s life was read by Pastor Renner. The General President then spoke in honour of the deceased’s valuable services rendered to the Church, he having been a member of various Committees i.e. Foreign Mission, Church Papers, and General Finance. Now that we have come back into our home again, one’s thoughts cannot but revert to the sorrowing widow sitting in the now still rooms of the Point Pass Manse. Surely the Brethren in the ministry and the congregations look upon the departure of Pastor Zwar as a great loss, but the heaviest blow fell upon the family. Here the breadwinner and husband, who could be depended upon, is no more! Nevertheless, God’s great and glorious promises still shine over the wife, mother and children, promises that always remain yea and amen. And we the members of the Church and the parish will not remain behind if God calls us to give a helping hand in order to redeem His promises. Mrs. Zwar has requested us to say that she very highly appreciates the many tokens of sympathy shown by friends far and near who were present at the funeral, especially the many Ministers who during the Christmas season were so busy. But we think there is nothing to thank for, for was it not the last honour we eould show our faithful fellow-worker. May he now rest in peace. In the following we now give an abridged history of his life, which was kindly handed to us. Obituary of Pastor Johannes Zwar. God granted him grace to labour in this parish, leading many a soul into the arms of the Good Shepherd. It always gladdened his heart when he found that his love was accepted and reciprocated and would fain have enjoyed the fellowship of other Christians if he could have only made it possible. For 10 years he faithfully served the S.A. District Synod as Secretary, though often he felt the strain of it. When the 50th anniversary of his birthday came round he was particularly moved to see how his congregations came along to celebrate this occasion with a pleasant surprise. But after all in great humility of heart and mind he gave the honour and glory to God. About 4 years ago he developed gallstone trouble with increasing sufferings as time went on. In spite of growing weakness he still faithfully attended to his duties. As things got worse, he eventually decided to consult a specialist, who advised him to submit to an operation. On the Sunday prior to his entering the hospital he preached his last sermon to his congregation at Point Pass. With freedom and impressiveness he exhorted his hearers faithfully to use the talents entrusted to them, concluding with the words: “Occupy till I come!” It was hard for him to part with his flock and it was his prayer that this his last appeal might result in wonderful blessings for his congregation. His frankness and amiability won for him many a heart, and his peaceful disposition brought back peace and harmony into many a. home and heart. Under the skilful hands of the doctor the operation performed on the 10th of December proved a success, but the shock was too great for the weakened constitution so that in the afternoon he took a serious turn and during the ensuing 24 hours his life hung in the balance. When he again revived somewhat he asked to thank all who so kindly thought of him and prayed for him. But God’s thoughts are not our thoughts for on the Friday prior to his death his strength was failing fast, so that on Saturday the doctor held out no more hope. During his illness and in spite of his weakness he repeatedly asked his wife to read verses of Scripture to him as also appropriate hymns, such as Psalm 23 or “Be Thou my consolation and shield when 1 must die” (Wenn ich einmal soll scheiden) or “Thanks from my heart I offer” (Ich danke dir von Ilerzen . .’). When Pastor Basedow had come in to pray with him he recognized him for just a fraction of time, stretched out both hands as if to embrace him and then lapsed again into unconsciousness until he gradually passed into the eternal rest accompanied by words of comfort prayed by Pastor Bemmann. His end was perfect peace. With all Thy blood-bought children in everlasting rest. All earthly griefs behind me, eternal joys before!